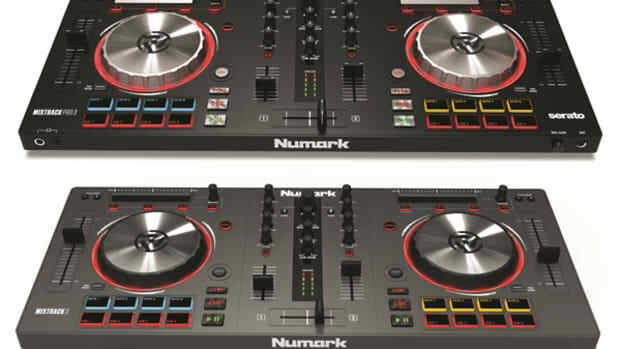 , four-deck DJ controller that Numark has already announced and now the new minimalistic Mixtrack Edge gets the pre-release treatment. This new ultra-slim DJ controller has a high-quality aluminum build while providing easy-to-use controls for DJ&apos;s on the go or DJ&apos;s with limited space. 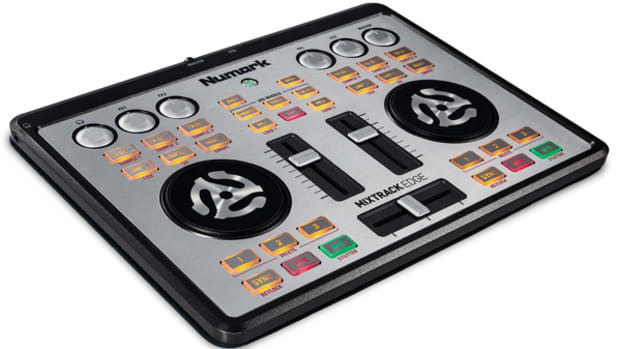 The Numark Mixtrack Edge is only an inch thick and can easily fit inside of a laptop bag or tablet style case as its about the same size as an iPad. The Mixtrack Edge is fully class-compliant which means it will work right out of the box without any additional drivers on PC and Mac. The aluminum jog wheels and chassis along with a built in protective cover make it ideal for traveling DJ&apos;s who need the protection against bumps and bangs. 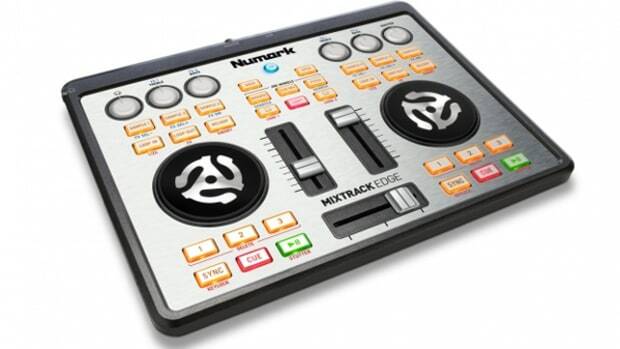 The Numark Mixtrack Edge isn&apos;t really for everyone as its missing the EQ controls, pitch sliders, and a few other goodies that full-out DJ&apos;s need. 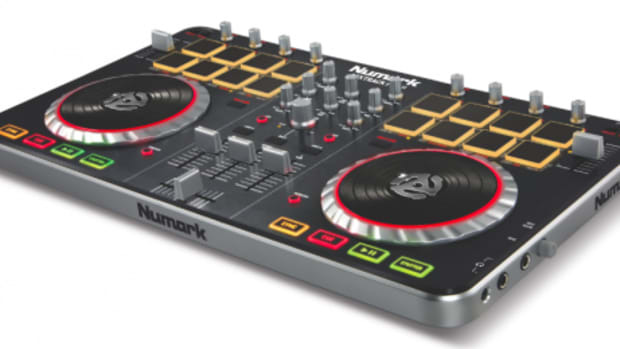 The Numark Mixtrack Edge is more for a Niche type of market where a DJ just wants to do a quick set on the go (or in a hotel room/plane) or get some quick ideas to fruition for use on their "real" setup at a later time. 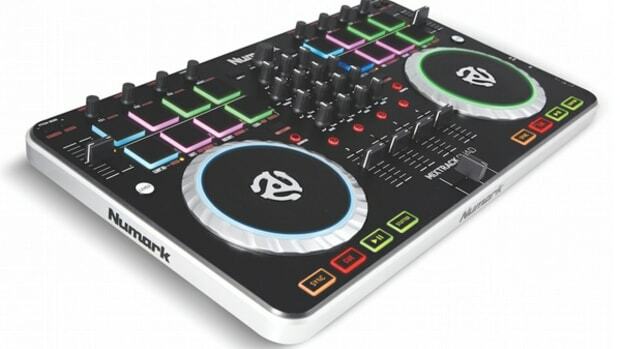 The Numark Mixtrack Edge will come bundled with Virtual DJ LE and Algoriddim djay LE, but I&apos;m sure they&apos;ll have mappings for all the others as the unit is released later this year for the low price of only $150. I&apos;m not sure if we&apos;ll get one in for a review considering its minimal setup, but stay tuned to this space as we&apos;ll definitely have more information on this product as time for release draws nearer... Check out the full press release below in the meantime and let us know what you think in the comments below! 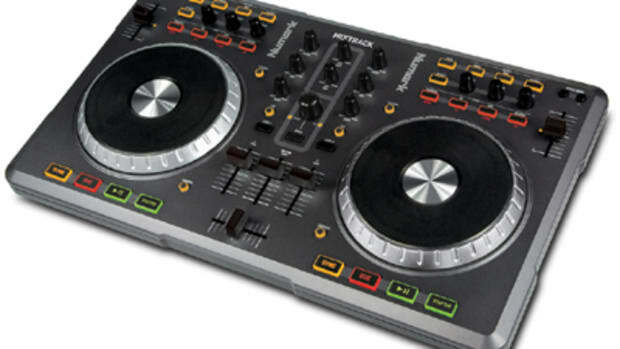 Numark is throwing its hat into the all-in-one MIDI arena as it has announced the MIXTRACK DJ Software Controller. As more DJ's are turning to "smaller" equipment setups with digital controller capabilities, the Numark MIXTRACK looks to be a competitive and well-equipped alternative to the other controllers on the market.